The latest donation records have revealed that Australian politics is now a billion-dollar business, providing a way for corporations to get away with damaging communities. 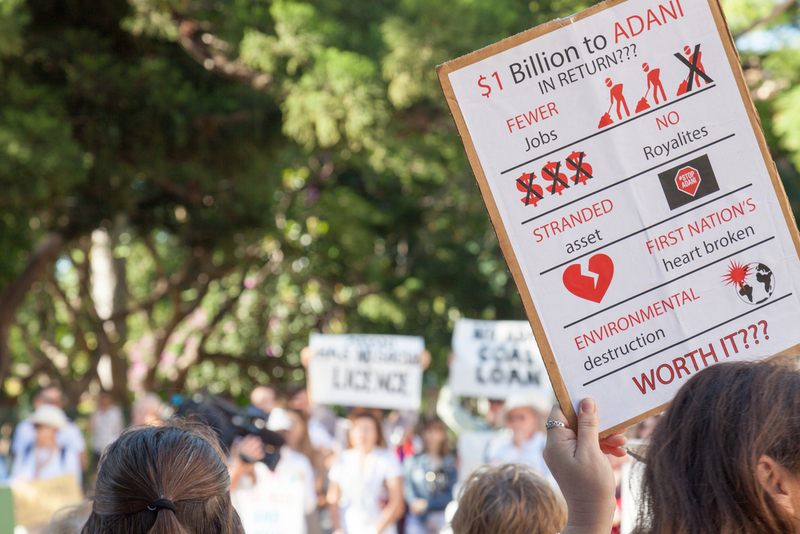 Major mining and gas groups, including Adani, have donated huge amounts to political parties, prompting not-for-profits to question how effective their campaigns will be now that corporations have paid thousands to secure a place in the government’s pocket. Lock the Gate spokesperson, Georgina Woods, said mining companies are damaging communities and securing themselves by handing out tens of thousands of dollars to political parties that are meant to represent people living in the communities. The major parties raked in more than $154 million in public donations, asset sales and returns on investments in 2017/18. An additional $926 million was also given to their associated entities from corporations like those in mining or gas. Adani donated a total of $35,000 to the Liberal Party of the ACT and a further $15,000 was given to Pauline Hanson’s One Nation. Whitehaven gave $35,000 to the federal Liberal Party, Glencore donated $20,000 to Katter’s Australian Party and the Minerals Council of Australia donated a total of $94,000 to Liberal, National and Labor parties. The $15,000 given to One Nation was just described as “other receipt”. “These companies have the cash to splash to keep politicians in their thrall. The system is clearly broken when big mining can make these massive donations while destroying communities, land and water across the country,” Woods added. The Greens said the data revealed massive corporate donations shows “democracy is for sale” and that donation reform is desperately needed. She added it was “no wonder” there are still lax corporate taxation laws, tax subsidies for fossil fuel companies and no plan to transition to clean energy.